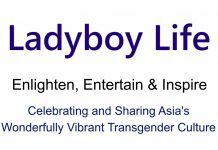 Below is a list of the current ladyboy cabaret shows in Thailand. We plan to attend and write individual reviews for each show. Please help us keep this list updated and feel free to add your own reviews in the comments section. A big thank you to Thailand Cabaret Shows for putting together this list and for sharing it with us. Please visit ThailandCabaretShows.com for more info, photos and videos. Calypso Cabaret – Calypso Cabaret continues its 25-year tradition as the top Bangkok entertainment destination, now at Asiatique. Golden Dome Cabaret – Enjoy the Broadway inspired show featuring special effects and extravagant costumes. Mambo Cabaret – This ladyboy cabaret is good clean fun with some good sets and impressive costume changes. Playhouse Theater Cabaret – Featuring beautiful dancers and stunning stage designs that create scenes from around the world. Alcazar Cabaret Show – Currently performing various cultural shows from a number of countries around the world. Colosseum Show Pattaya – Vividly colorful, kaleidoscopic extravaganza of traditional and contemporary cabaret entertainment. Mimosa Cabaret Show – A Broadway style cabaret show with a musical fountain at Mimosa – The City of Love. Tiffany’s Show Pattaya – Be amazed by the glamorous, talented performers and fabulous costumes that make for a dazzling show. Aphrodite Cabaret Show – Embark on a journey where the glittering world of music, dance and dazzling costumes are part of another reality. Moulin Rose Cabaret – Nightly cabaret show located on Soi Crocodile near the middle of Soi Bangla. Phuket Simon Cabaret – For sheer entertainment, outstanding set designs, extravagant costumes and glamorous performers. Simon Star Show – Become spellbound by their enticing costumes and a new generation of ambitious performers. Paris Follies Cabaret – Experience amazing, spectacular and heart-stopping performances with new music and dance routines. Starz Cabaret – Features a mix of Western pop divas and Thai cultural dance, all performed with good humor and zest. Chiang Mai Cabaret Show – Nightly show located inside the Night Bazaar on Anusan Road. Miracle Cabaret Chiang Mai – A newly opened venue in Chiang Mai. Previously known as Chiang Mai Cabaret Theatre. Blue Dragon Cabaret – An entertaining ladyboy cabaret show that is a must see if you drop by Ao Nang Beach.